Important Note: The optional CD has been updated to include the entire book plus supplemental learning activities. Reproducible worksheets are included. Children love the high interest activities in this practical, easy-to-use book. 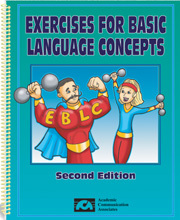 The updated CD now includes the entire book plus an interactive computer learning activity and supplemental activities. The pages on the CD are in a PDF format that can be used if you have Adobe Reader on your computer. This program is available at no charge from www.adobe.com. The CD makes it easy to print out copies of the reproducible book pages.